How To Choose A Gaming Headset Like a Boss! You may have a perfect rig. But the system can’t deliver an entirely cozy feeling necessary for every gamer. Nothing quite beats the comfort that any good gaming chair can offer. Nevertheless, there’s always that challenge to find the ideal one in a sea of endless options. This can be rather tricky when it comes to finding a best gaming chair for adults. In our gaming chair guide, you will learn top tricks to finding a perfect pick to match your needs. You don’t need to spend endless hours tucked in your boring couch. 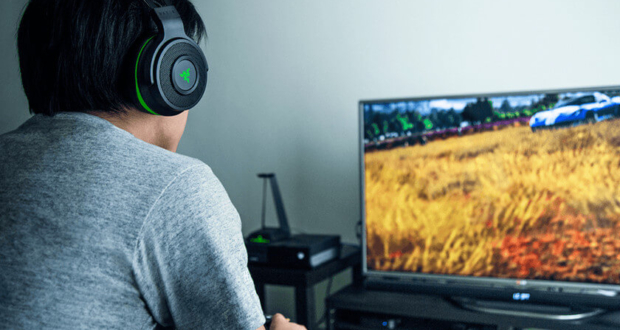 It can make gaming uncomfortable for you, and even prove to be a health hazard altogether. So why go down that road? Forget the back pain, substandard quality, and that horrible experience. Get ready to strap in and game away in the best gaming chair around. Our gaming chair guide will help you choose a chair you can take pride in over several decades. You may want to get a chair that beats about any other one out there. However, you will be able to choose from a wide range of options. You can always spot great picks for that perfect budget gaming chair and still get your comfort needs covered. The key issue here is to balance a well-made one that can still fit within your set budget. The good thing is that the market has so many options. All it takes is a bit of footwork so you can identify the right one. Among the things that you should focus on here is the style you want. These chairs come in an many styles. They range from racing style, rocker, bean bag among others. Any of the options come with its fair share of upsides and downsides. Therefore, ensure you get that perfect option to suit your needs. For comfort, a bean bag chair stands out. They are usually less costly, fitting in most budgets for starters. However, this type can lack some essential aspects as wireless functions and audio functions such as speakers. The racing chair type packs in an impressive look. Its modern accessories and striking colors make it one of the go-to options that most gamers want. Some of them mostly come with a steering wheel pedals that can give you a considerably realistic experience. Rocker chairs are renowned for their L-shaped design. They offer a great choice for shoppers who are out to get a gaming chair with top-level comfort. If there’s one thing most gamers want, it is any gaming chair with an ergonomic design. It goes a long way to enhancing the comfort. And finding one with the best ergonomic features isn’t just about the potential comfort. 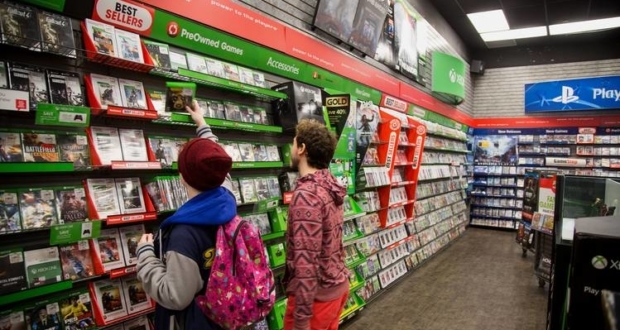 Sometimes sitting through long hours can prove risky for a gamer’s health. Such problems as back pain, headache, stiff joints or fatigue may become inevitable. Using the right chair can help keep almost all of these problems at bay. Well, most of these chairs pack in the right design for such performance. Most of them have a back and neck rest that you can adjust whichever way you want. Some have wheels that enable up to 360-degree swivel. Check to ensure you find one with a bit of back tilt pension if you want to experience a difference. Other aspects that make gaming chairs among the best include mesh siding, which offers ultimate durability. Not forgetting, finding one featuring a knob for a pressurized lumbar support can be a great advantage too. However, even when using a chair that features top-of-the-line ergonomic design, get up and move around frequently. Virtually every gaming chair on the market packs in several features. Most of these might be standard among many such chairs. 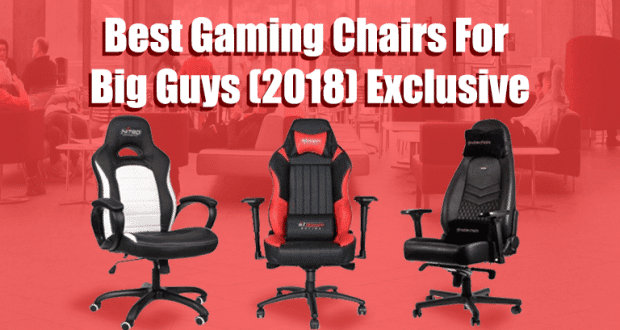 In order to understand how to choose a gaming chair, here are some top aspects to go for. Remember, any gaming chair with more or high-end features could cost you more. These could include integrated speakers, leaning facility, vibration motors or a control panel. Others can come with foam padding, storage for your snacks, controllers, keyboards and even water bottles. So if you are not ready to settle for anything less, then you can consider fronting the cost. Here are a few aspects to check out. When it comes to gaming chairs, longevity is crucial. This can hinge on the material quality used in building it. If you want to get this right, then look for information about the material used for padding. Check on its top material as well as the legs. The comfort factor also plays a significant role in gaming chairs. If you are fond of playing for long hours, then comfort is crucial. Ergonomics are essential here to ensure the least possible stress on the body. This way you can rest on your chair over longer hours than you would with an uncomfortable one. Above all, virtually everyone wants an outstanding experience when gaming. And comfort has to be part of that experience. Sometimes space might not be on your side. But this doesn’t mean you should not get an ideal chair anyway. Fortunately, these chairs come in different sizes. So consider how much space you have around before setting out to purchase your chair. Then check the dimensions of the gaming area. This will help you find one that will fit perfectly in the little space available. You may sacrifice a few aspects if you can’t find the right sized high-end chair. But what’s most important is ensuring you utilize the available space to the limit. Most importantly, it is always wise to make sure you get the value for your buck. Nevertheless, ensure you don’t pay for features you may never use. For instance, you may have a robust audio system around. This means you don’t necessarily need one featuring an inbuilt subwoofer. Make sure to check so that you only buy a chair with what you need, it goes a long way. You might sweat; how well can it keep you cool? Call it a no-brainer, but virtually everyone wants a chair that can keep them cool all through. Sweating is normal. The most crucial thing to consider is just how cool any chair that you want proves to be. Any ideal chair should prove able to wick moisture. This not only keeps you cool. 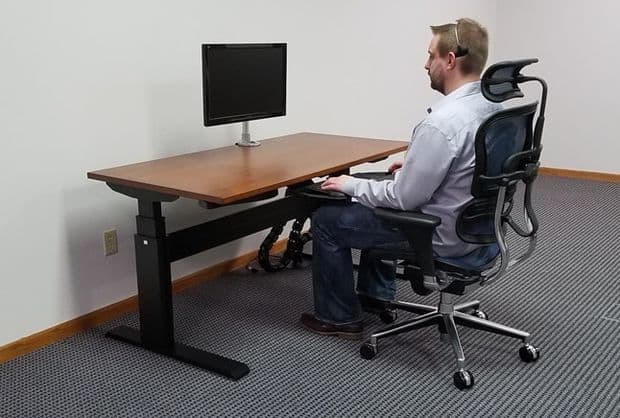 It also prevents that feeling as if you are stuck in your chair after hours of gaming. In gamer’s world, compatibility features in virtually every aspect. 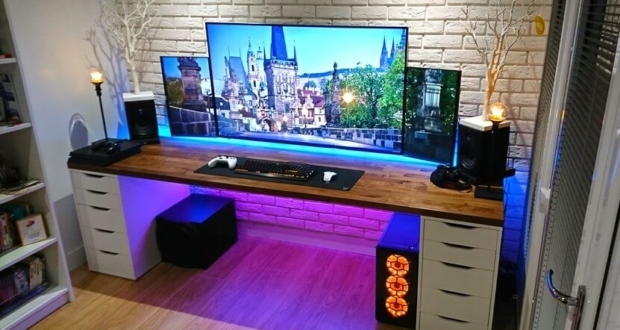 This goes beyond just your keyboards and the rig to the chair as well. Looking for one that will work well with your gaming console is worth considering. The good thing is that quite often, you will need to look for a chair that will work on different systems. It’s about taking advantage of what any ideal gaming chair has for you. Most chairs are compatible with Xbox 360, Xbox 1, PC, PlayStation 3, and PlayStation 4 and such. Going for a gaming chair of the right size is inevitable. The right choice here becomes crucial since you don’t want to end up with a child size chair. It is not only a bit flimsy, but fitting in there could prove to be a challenge too. First, durability is essential, but just how impressively your chair can hold up is important. This aspect is crucial, especially if you want one with wheels. Make sure to check to ensure it has a stable resistance cross. If the hydraulics is cheap, they can break easily and fall right off. This may be a nightmare for you since the warranty might not work in this case. Another thing to factor in here is whether the wheels are rubberized. This will help prevent unwanted scratches on your floor, especially a wooden one. Besides, no one wants to put up with the frustrating noises of any chair that lacks rubberized wheels. Sometime you might look at the comfort alone, but there’s always a lot more to consider. One of those is the aspect of keeping your cervical vertebrae, arms and neck supported. Consider selecting one that features a headrest, especially if it has an elastic material. Besides, consider checking out some loin pillows too, you might need them at some point. What’s more, if it offers a tilt to the back, then it can be an additional advantage. Sometimes you may want to relax on the chair, which is where this feature comes in handy. 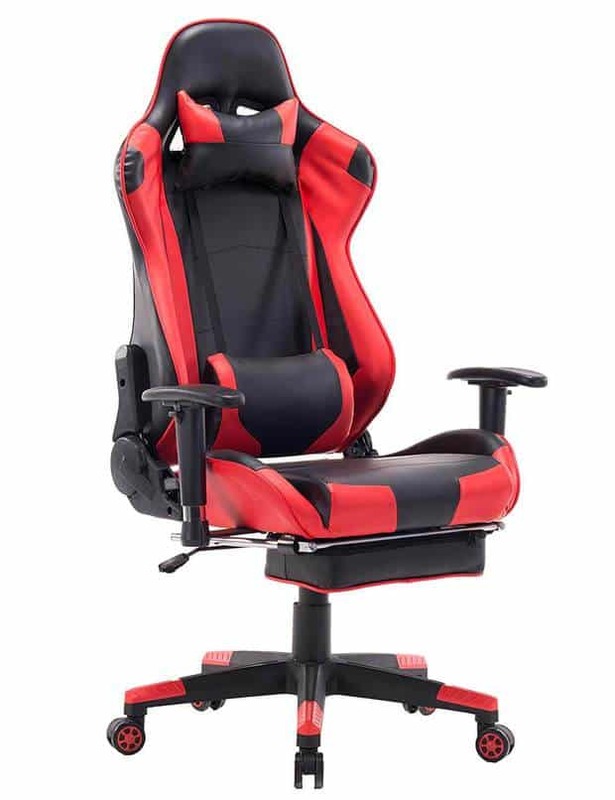 Gaming chairs boast a wide array of types available. We cannot wind up our gaming chair guide without taking you through some of the various types. Most of them will have a height and backrest tilt that you may adjust, as you want. Others come with orthopedic attributes that ensure ideal back support. So you don’t have to worry about the spinal cord. There will always be a lot to benefit from these chairs, and here are the leading types. If racing games are your craze, then a racer chair can be very helpful. It offers ideal features for such actions as a steering wheel. Pedals, as well as a shift knob, can also be available in these chairs. Others do not have as many features, but you can find a framework for attaching these controls. Adjustability is usually a top-end feature that these chairs come with to help cater to your height. Rocker Gaming ChairsThese chairs do not feature any legs, so they sit on the floor. Rocker chairs are L-shaped and deliver an unsurpassed comfort. The top-end chairs in this category have an assortment of outstanding attributes. These range from the wireless system, inbuilt audio output as subwoofers, and RCA stereo inputs. They also offer perfect support thanks to padding comprising of memory foam. Some of these chairs even pack in wireless connection with others. This goes a long way to offering you top-level immersion if you are gaming as a group. 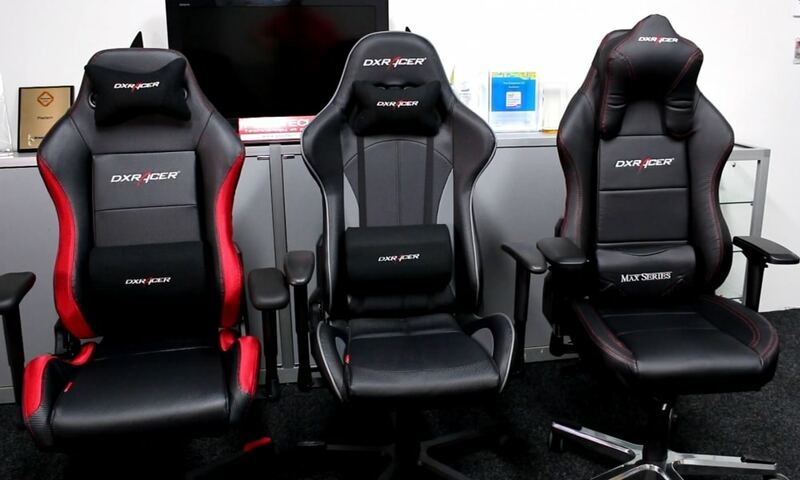 Computer gaming chairs work much like the conventional office chairs. But these ones stand out with a specific design for gaming. They usually come with ergonomic attributes like a headrest, back pad, as well as perfect armrests. Some can even feature racecar materials or tilt up to 180 degrees. You can as well find some with side supports for outstanding comfort over long gaming hours. Pedestal type is almost similar to the rocker type. Their only difference is an extra pedestal beneath the seat in this model. It helps if you want to rotate or elevate yourself above your floor. They might not have all the aspects that most other chairs pack in. But they still pack their share of ideal features for your needs. For the comfort, these chairs are outstanding. It has almost all you need to kick back and lounge in front of your rig. 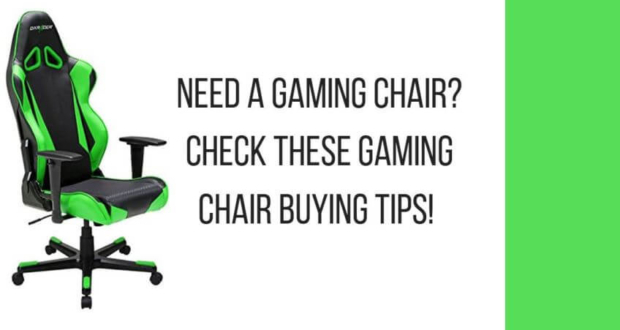 By now, you have a better idea on how to choose a gaming chair. Making the pinpoint choice here doesn’t have to be a complicated feat. All you need is to understand what to go for. Whether you are into comfort or want that striking performance, these chairs will always deliver to your expectation. So picking just the right one for your needs becomes super easy. The market has a hoard of these chairs. All you need to do is decide which one is best depending on your needs. We hope our gaming chair guide brought on board all the ideas necessary to do this confidently next time. It’s about time to take charge of your comfort in gaming. GamingDemons is a comprehensive website created by gamers and for gamers. 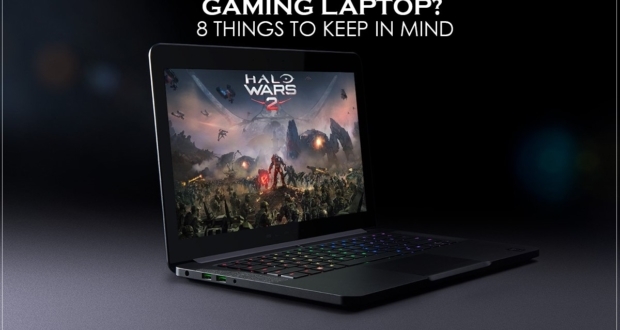 This website was created after having discussions with some of my friends about some of the best gaming gear one can have. We realized that it is hard to find and decide on the best gear you can get. We strive to make that process easy, efficient and time-saving. We are a website dedicated to making your gaming life more comfortable. COPYRIGHT © 2018 · GamingDemons, ALL RIGHTS RESERVED.